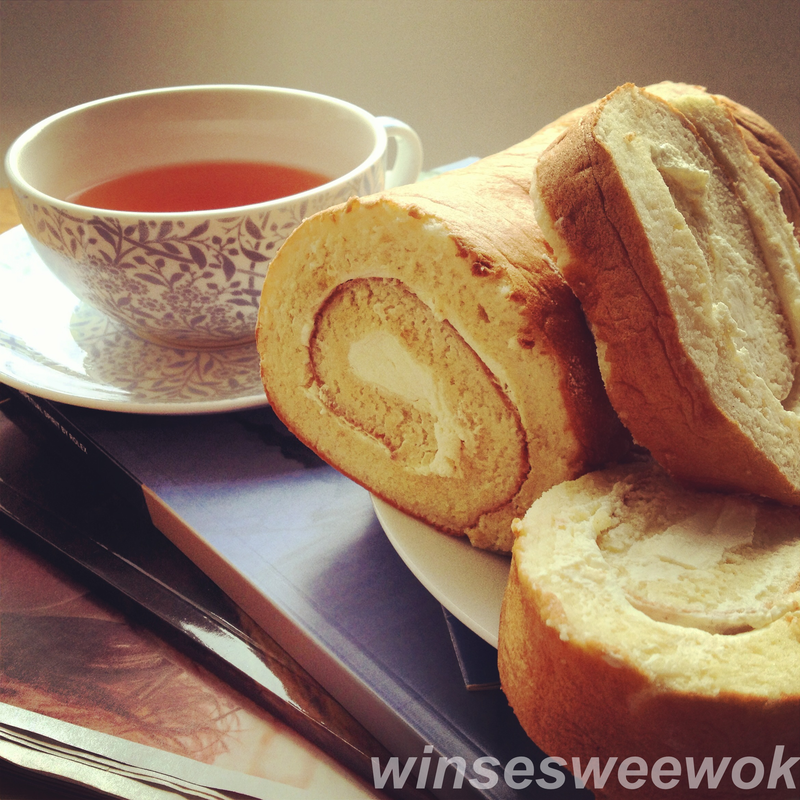 In Hong Kong Swiss roll is sold fresh daily in bakeries. 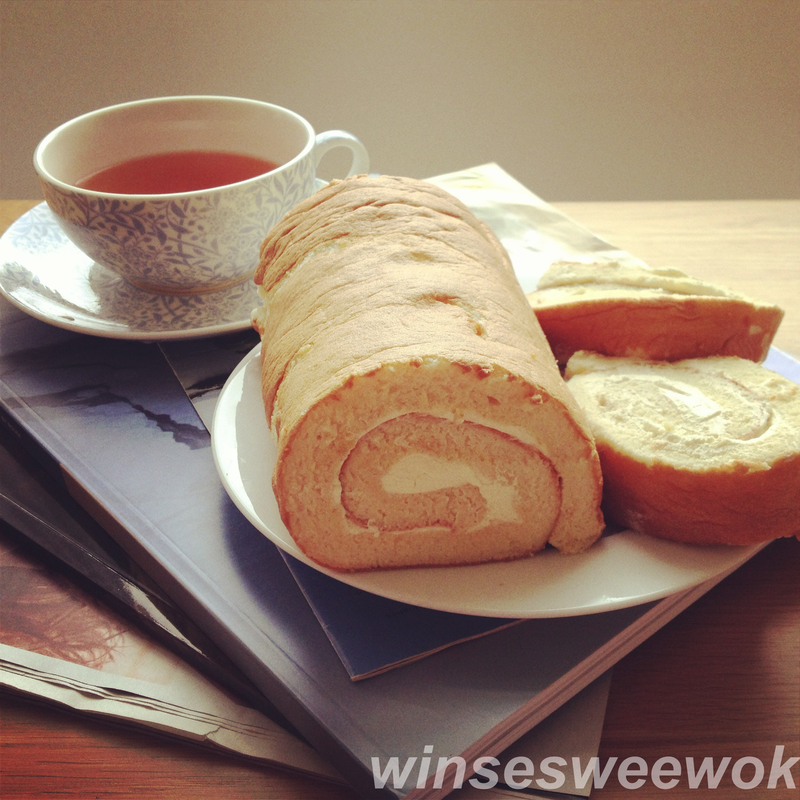 The Chinese Swiss roll looks almost identical to its Western counterpart, except that it is much lighter in texture much like a sponge. There are several popular variations. The basic version which we will make is the standard recipe with a whipped cream filing. Other versions includes chocolate, mango, pandan, strawberry, coffee, tea and orange filing flavour roll all with a whipped cream filing. Preheat oven to 204 degree Celsius, 400 Fahrenheit= gas mark 6. Sift the flour, baking powder and corn flour into a bowl, set aside. Prepare two mixing bowls, separate egg yolks into one and egg whites into the other bowl, set aside. With an electric whisk, set at medium setting, whisk the egg yolks until blended. Gradually add in 50 g sugar, water, milk and oil. Continue to blend until a batter is smooth and creamy. Gradually add in the sifted flour mixture, continue blending until it forms a slightly stiff batter. Whisk egg whites at high whisk settings for a while until bubbles form. Add in 100 grams sugar gradually until stiff peaks form. Transfer half the egg white batter into the smooth, creamy egg batter. With a spatula, carefully fold the batter in a slow, round motion into the centre. Repeat 5 times, add the remaining egg whites. Fold again, carefully and slowly. Prepare one 35cmx 30cm baking tray or an equivalent flat tray. Line with parchment paper at the bottom as well as all the sides. Pour the batter in the tray and level it with a spatula. Bake for 15 minutes until it turns golden brown on the top. Remove from the oven and transfer to a cooling rack. Allow to cool for 15 minutes. 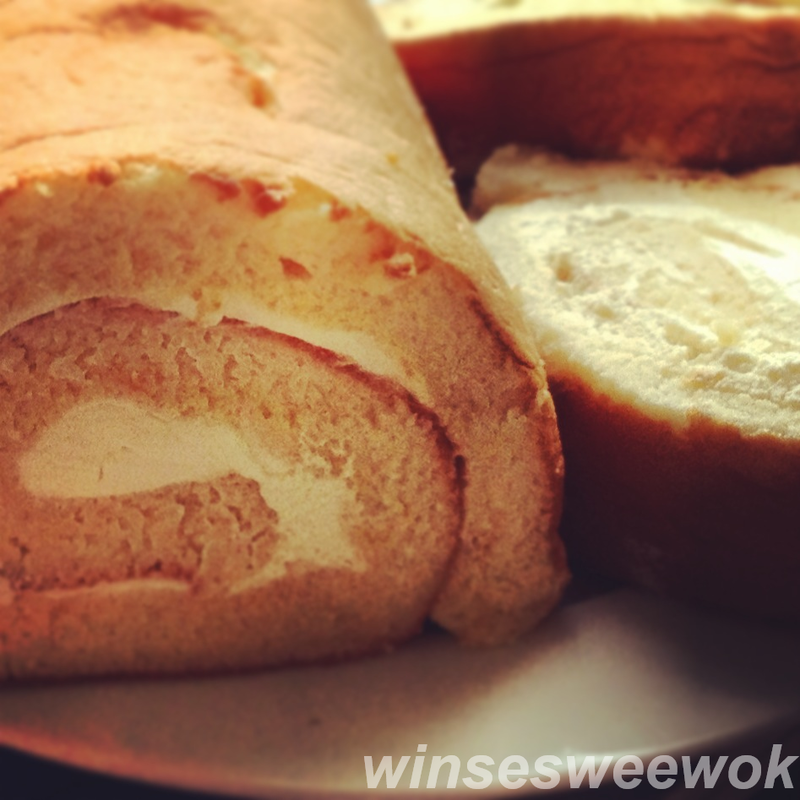 To ensemble the Swiss roll, place a large sheet of parchment paper on the work surface. Turn the surface of cake onto the paper, carefully peel off the paper which was used to help line the cake while baking. To prepare the filling, whip the whipping cream with an electric whisk until creamy and smooth. Spread fillings evenly, roll the cake. For best results, keep roll in fridge for 15 minutes before serving. Cut into thick slices and serve. Hello! Sorry for late reply. Mmmmm stiff peaks and folding gemtly still doesnt work. Maybe try putting the peaks in the fridge? I can`t seem to figure out why it wouldnt be airyness and fluffyness. Let me know.